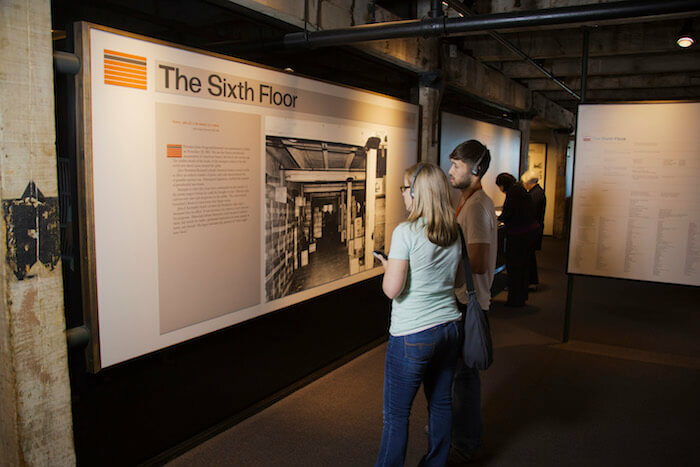 One of Texas’ most-visited historic sites, The Sixth Floor Museum at Dealey Plaza in Dallas tells the story of the life, death and legacy of President John F. Kennedy. 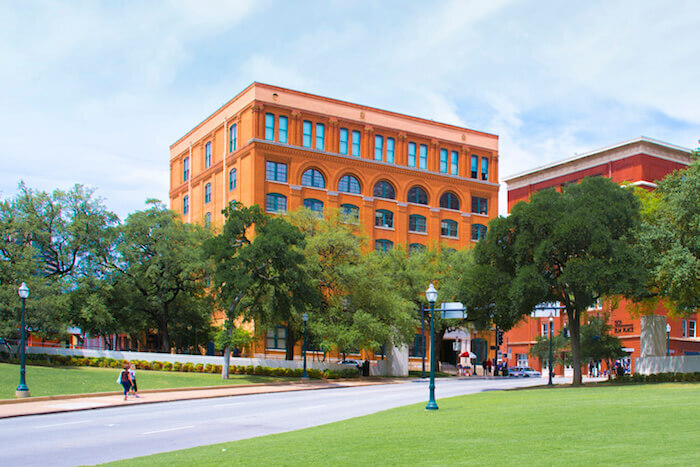 The museum is located in the former Texas School Book Depository building, where evidence of a sniper was found after Kennedy’s assassination on Nov. 22, 1963. “The museum strives to be an impartial, multi-generational destination and forum for exploring the memory and effects of the events surrounding the assassination of President Kennedy,” said Laurie Ivy, marketing and communications manager at the museum. The museum includes a wide array of historical photos, film footage and artifacts; much of the exhibit space looks as it appeared in the 1960s. Exhibit highlights include a sniper’s perch, the FBI model used by the Warren Commission, an original teletype machine that first transmitted news of the president’s death and Lee Harvey Oswald’s wedding ring. An interactive display overlooks Dealey Plaza. Although docents are not available for guided tours, a self-guided audio tour, available in eight languages, is included with admission. An ASL version is available for deaf or hard-of-hearing visitors. The museum’s ongoing Oral History Project has collected more than 1,700 oral histories to date of those who have personal memories of the 1960s and the Kennedy presidency. In addition, a professionally staffed Reading Room, open weekdays by appointment only, provides free access to much of the museum’s collections of more than 50,000 items. 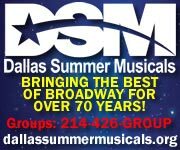 For more information, call 214-747-6660 or visit jfk.org.